Photos taken by a 10 year old with a Box Brownie camera, a Christmas present from my parents. This page is part of a web site owned by Kevin Mulcahy who was the photographer of the above pictures. 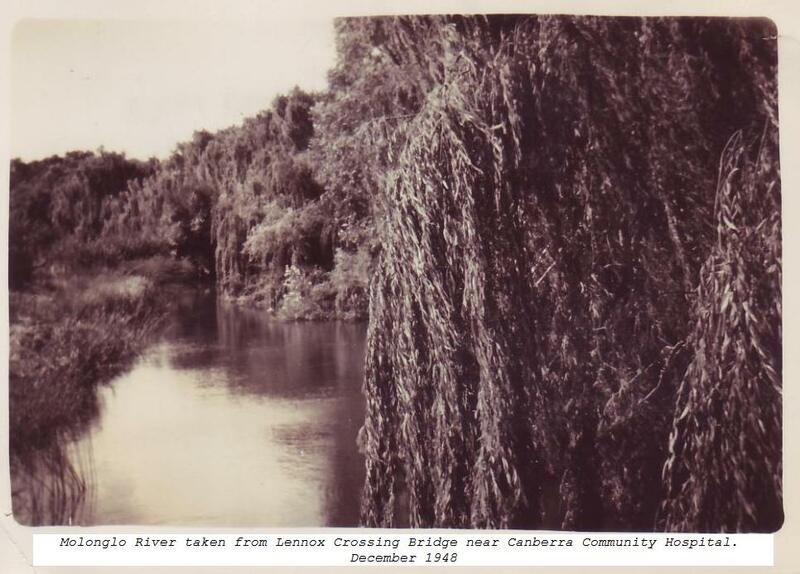 I left Canberra in 1988, 51 years after arriving there in August 1937. I lived with my parents in Torrens Street, Braddon until 1962 when I married and moved to Watson. We now live on the Far South Coast but one of our three children still lives in Canberra. 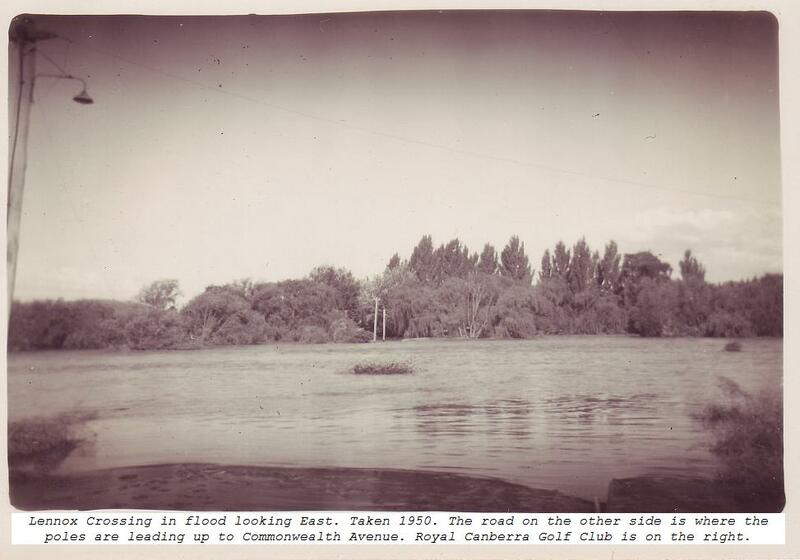 When I took these photos, the population of Canberra was about 8,000. Population growth was quite slow until 1954 when the National Capital Development Commission was formed. From that time the place then really became the National Capital under the control of the Federal Government. Unfortunately, politicians did not like this idea so in 1988 it was handed over to an elected Self Government despite the will of the people to the contrary. 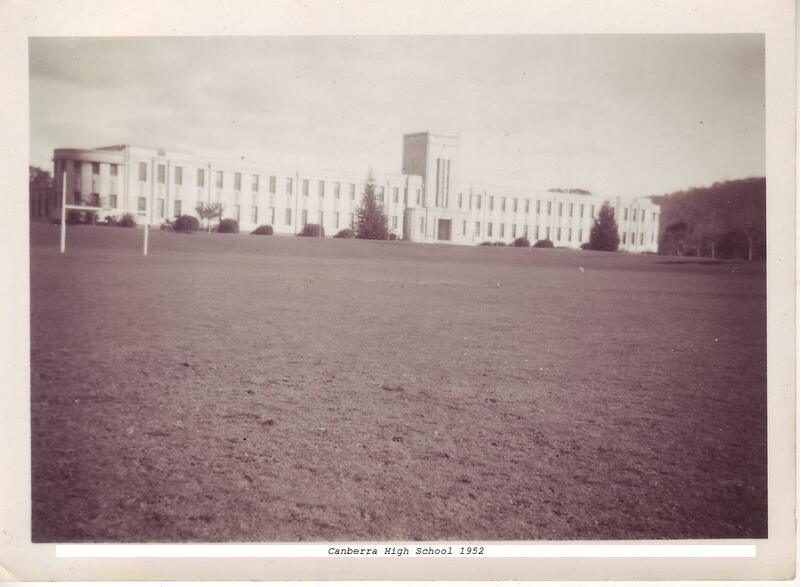 It was in that year that we sadly left my hometown. 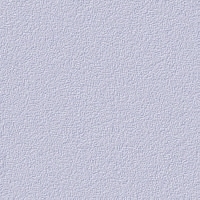 Click on thumbnails for a larger view. 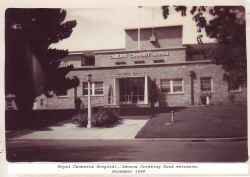 Royal Canberra Hospital (demolished) showing casualty entrance. 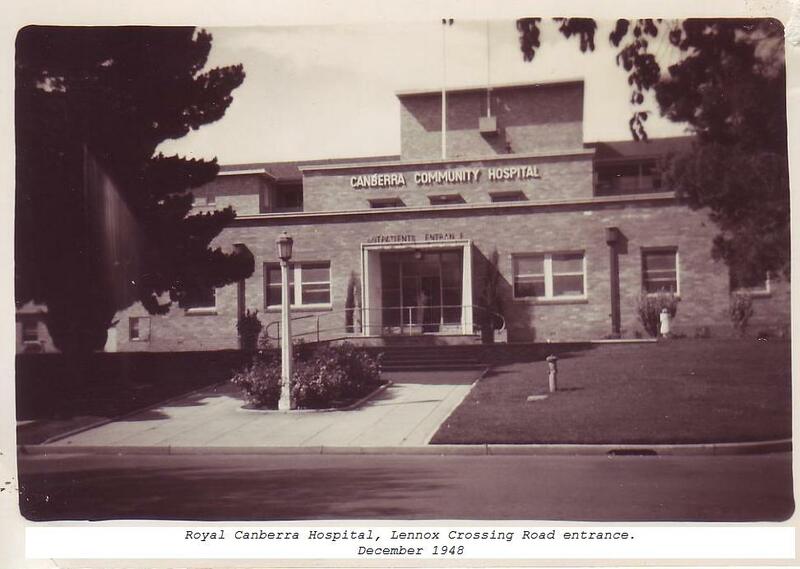 Royal Canberra Hospital, Outpatients entrance on Lennox Crossing Road. Lennox Crossing submerged bridge looking East. Molonglo River taken from Lennox Crossing bridge looking East upstream. My Box Brownie Camera which took 120 film 12 exposures. 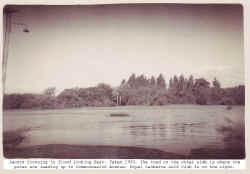 The above photos are scanned copies of the original 4x3 inch black and white prints. Not bad considering they are 62 years old. I was brought into this world by Dr John James, after whom the Hospital in Deakin is named. I was his first Caesarian Section procedure and apparently he did it under instructions via telephone with a specialist in Sydney. 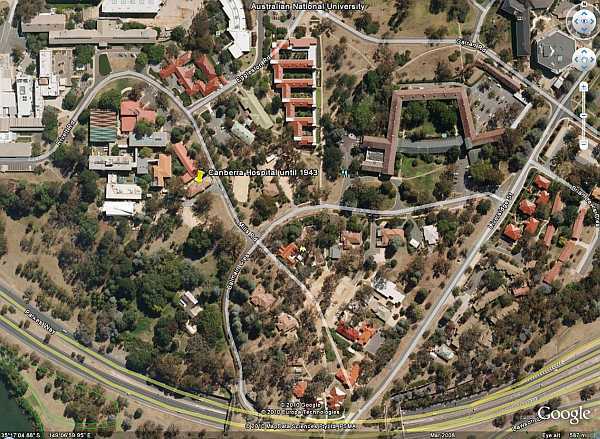 The hospital where I was born is now the School of Earth Sciences and is part of the Australian National University. 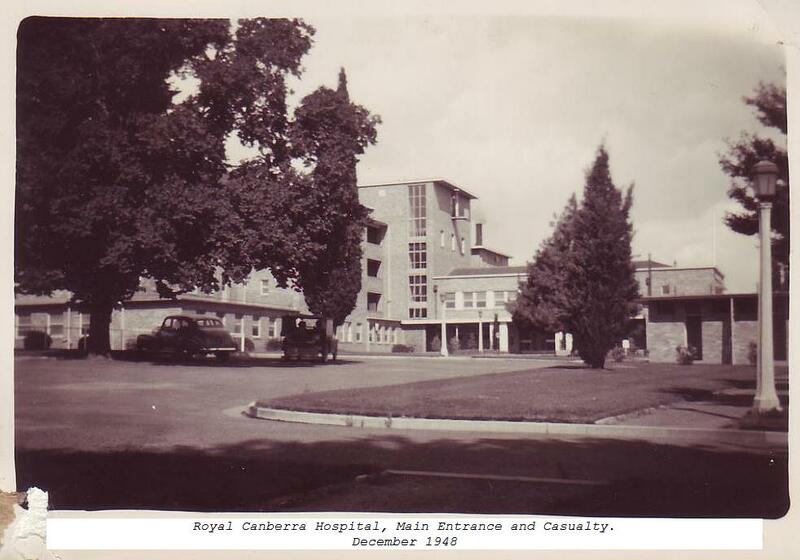 This hospital served Canberra until 1943 when it was replaced by the Royal Canberra Hosptal shown above. 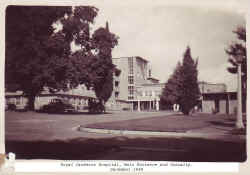 The original Canberra Hospital in Mills Road, Acton, now part of the ANU. 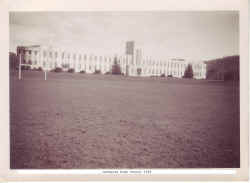 The Australian National University showing the original hospital.